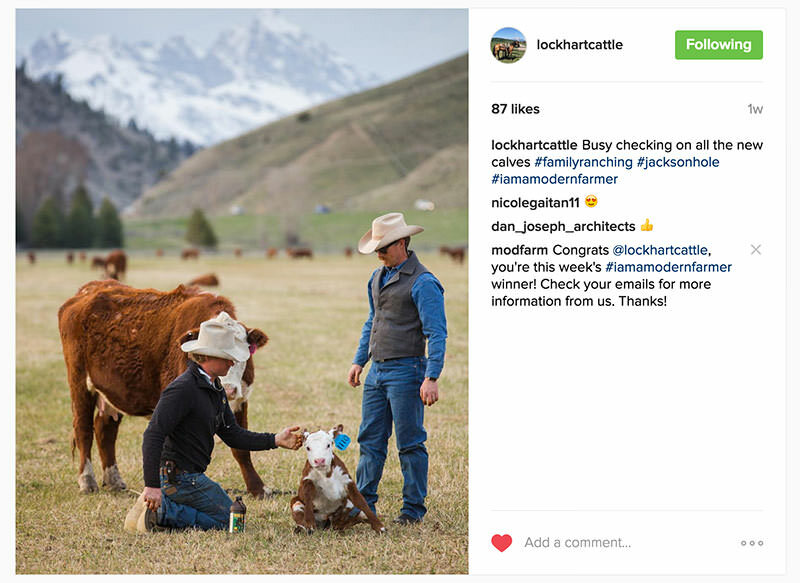 Q&A: Cody Lockhart of Lockhart Cattle Co.
Meet Cody and Chase, the latest generation of the Lockhart Cattle Company to raise grass-fed beef on their great-grandfather's ranch. Their great-grandfather, Bruce Porter, moved to Jackson Hole, Wyoming, in 1914 as a pharmacist, then shifted into ranching. In 1938, Porter established the ranch the Lockharts took over a decade ago and continue to work today for the Lockhart Cattle Company. The brothers raise grass-fed Hereford cattle without the use of hormones or antibiotics, have a slaughter operation, and distribute their beef to a variety of markets and restaurants in and around Jackson Hole. Cody and his wife, Shauna, are expecting their first child this week, and they hope the little one will grow up to be the sixth generation to help run the operation. Cody Lockhart: Our vertical integration: We do everything from having babies, to running a slaughter plant, to delivering steaks. We operate our ranch a lot like our great-grandfather did and our renaissance approach looks a lot like the modern “farm to table movement.” Our cows are born on the ranch, we raise our beef on grass only, we don’t use hormones or antibiotics, we invested in a local slaughter plant so our beef doesn’t have to be trucked to an FDA approved facility over 200 miles away, and we deliver our own beef to markets and restaurants around Jackson Hole (usually in our cowboy hats). CL: Most of the ranches around ours are now owned by wealthy vacationers; it’s important to us to continue the ranching heritage of the area. Also, we live in the mountains where the growing season is only three months long. If people want to eat locally around here, local beef is their best year-round option. CL: Hereford cattle, they’re as hardy and as nice as cows come. CL: Potatoes. There’s nothing better than steak and potatoes. CL: The driving principle around our ranch is that hard work is pretty much all you need to be successful in agriculture. CL: I guess we’re inspired by the proverbial American cowboy and his romantic dream of working hard to feed his fellow Americans healthy food. We admire toughness and integrity – we want to take pride in our work. MF: What was the biggest mistake you’ve ever made in regard to ranching? How did you solve it? CL: Over the years we’ve learned that running a family business is hard. Our success seems to hinge on maintaining strong family relationships.